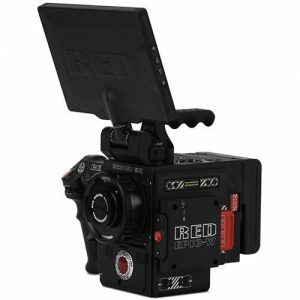 New 5K, Super 35 CMOSSensor.The REDDSMC2 GEMINI5K S35 Brain introduces a new dual-sensitivity sensor capable of recording high frame rate footage in REDCODERAWat up to 96fps with a reported 16.5 stops of dynamic range. Cropping the sensor to 2K allows for video frame rates to be extended to 300fps. The sensor measures 35.61mm diagonally and renders 15.4 megapixels of resolution for a slightly wider field-of-view when compared to previous Helium and Dragon sensors. Dual ISOSensitivity.REDjoins Panasonic in offering a sensor with the ability to operate in two different sensitivity modes. Use the standard ISO800 mode to preserve every bit of detail in brightly lit scenarios, or switch to low-light mode to render less noise and more shadow detail in exchange for a slight clipping of highlights at ISO3200.